Brain POP is an educational website. A one year subscription costs $99. 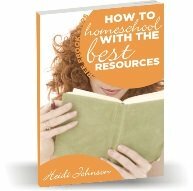 It includes free lesson plans, video tutorials, and professional development tools. My children especially enjoy the science videos. They feature a robot and his friend. They explain difficult science concepts in a fun and interesting way, and then test to see if the information was understood. It can be used through middle school.